② Sliding to the left button, you can open the notebook. until you set the new passcode. Beautiful & Unique Design - Combination lock is easy to use and keeps your secret safe. Card Slot & Pen Holder Design - Creates many small spaces for your accessories such as cards, pen, etc. 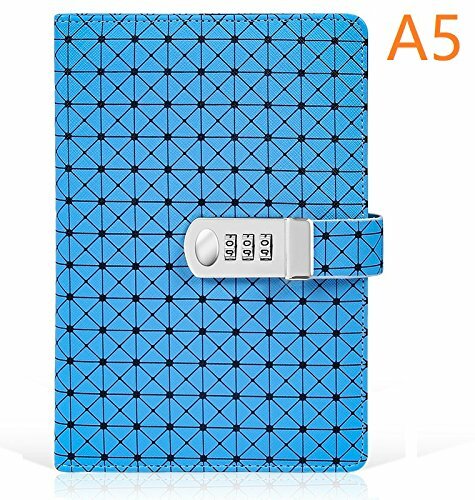 Perfect for someone who is looking for a diary with lock, or diary with password.